If you are living with someone who has Alzheimer’s, dementia, confusion or memory loss, you know just how difficult the simple act of communication can be between you and your loved one. Susan Kohler, author of How to Communicate with Alzheimer’s, is host of Innovative Dementia Care, a program designed to help you, the caregiver learn about the communication process, why it is so important in caregiving, the problems in communication, and useful techniques to facilitate communication that will ... See More create a meaningful connection with you and your loved and in turn, get safety and cooperation with daily care. 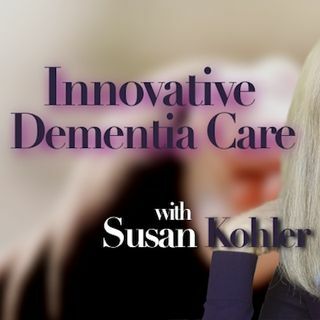 Listeners will also learn creative ideas, activities, solutions and sensible strategies to help caregivers build a healthy foundation of care.